More Features For Those Who Need them. A bed that looks after your health shouldn’t mean your bedroom looks like a hospital ward. Our Comfort Plus Hi-Lo bed has a modern, luxurious design so it won’t look out of place in any home. 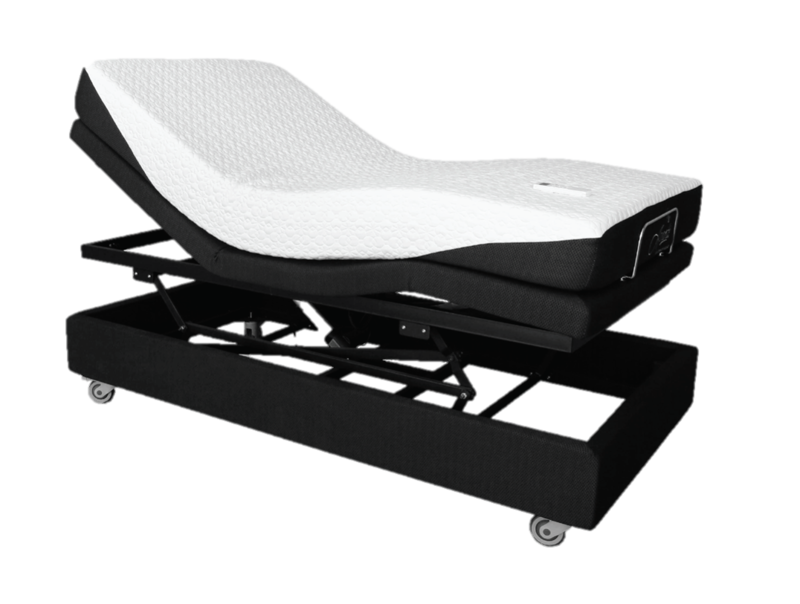 At the same time it has all of the necessary features of a Hi-Lo bed such as heavy duty castors for mobility, a full range of hi-lo lift movements and optional support rails for your safety. On top of all the standard features of a Hi-Lo bed our Comfort Plus bed was designed so it could still enjoy all of the features of our adjustable bed range. This means that you can enjoy the comfort of independently adjusting the position of your head and feet for your ultimate comfort ensuring a healthy and restorative night’s sleep. 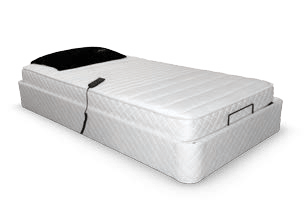 They have also been designed to be compatible with our full range of adjustable bed mattresses. 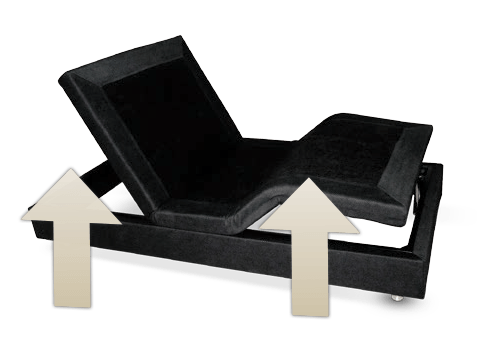 Upgrade to the ultimate in comfort! 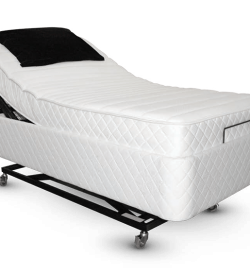 While our Comfort Plus Hi-Lo bed has been designed to provide everything you need and more, for the ultimate experience we have our Prestige Hi-Lo bed. The Prestige is equipped with unique vibration massage technology to take your comfort to the next level. Ask our sleep experts about how this massage technology can help alleviate many common sleep related ailments. 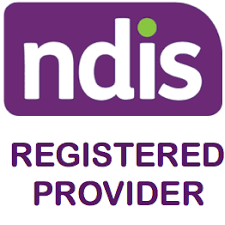 Our beds are constructed to comply to the highest Australian safety standards, they are fully Ctick approved and have have undergone independent laboratory testing to ensure their durability and safety. 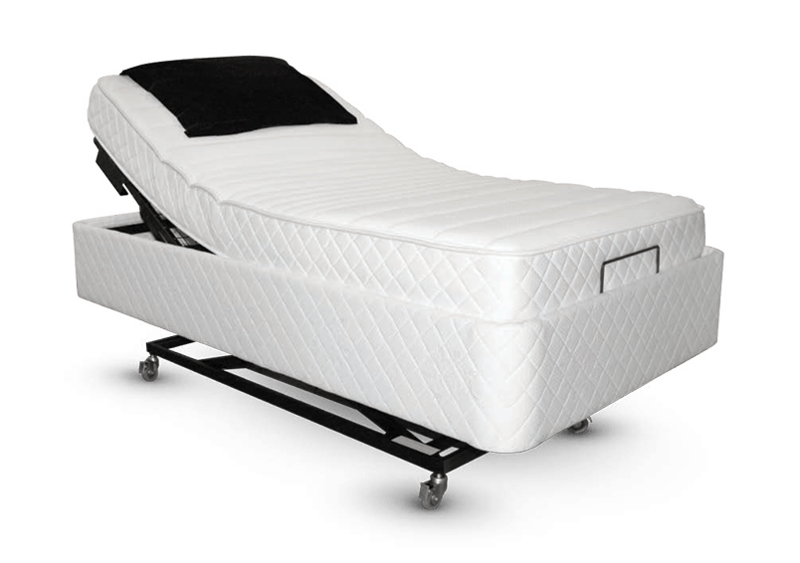 All of our beds have a unique spring back safety feature which isn’t found in most other electric beds. 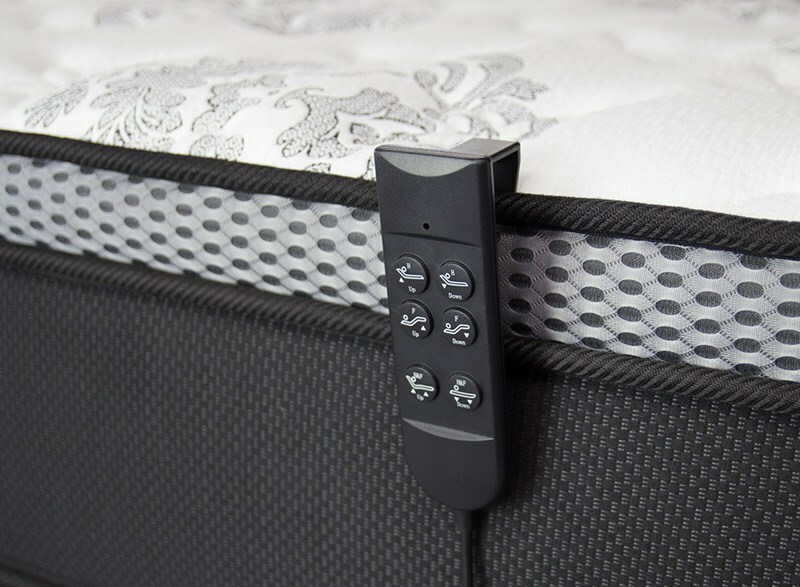 If something was to get between the base and the adjustment mechanism during movement this is automatically detected and the bed will spring back to release pressure and prevent crush injuries. If you have already had a demo of our products, and/or just simply know what you are after, You can place an order directly in our online store.